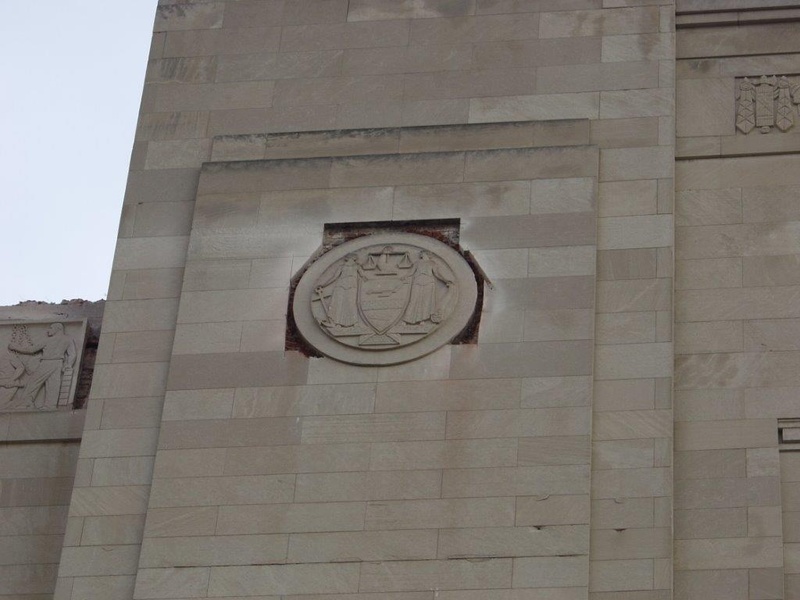 In 1931, the Philadelphia Civic Center became the center of the arts as well as a gathering place for conventions, concerts, and sporting events. It included a museum which showcased the different trade and commerce practices from around the world, a concert venue, and a convention center. The Civic Center was influenced by the Art Deco movement; it featured several enormous and beautifully carved limestone friezes. 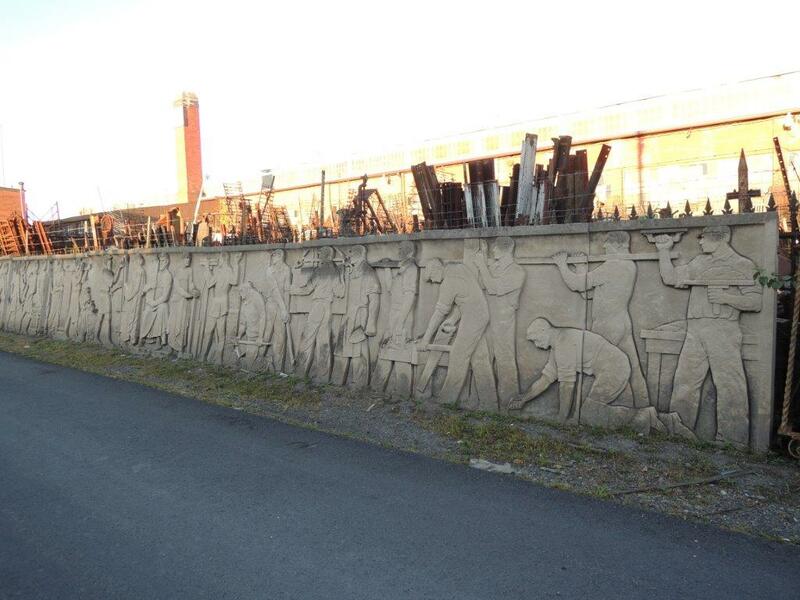 One of these wonderfully crafted friezes was dedicated to music. 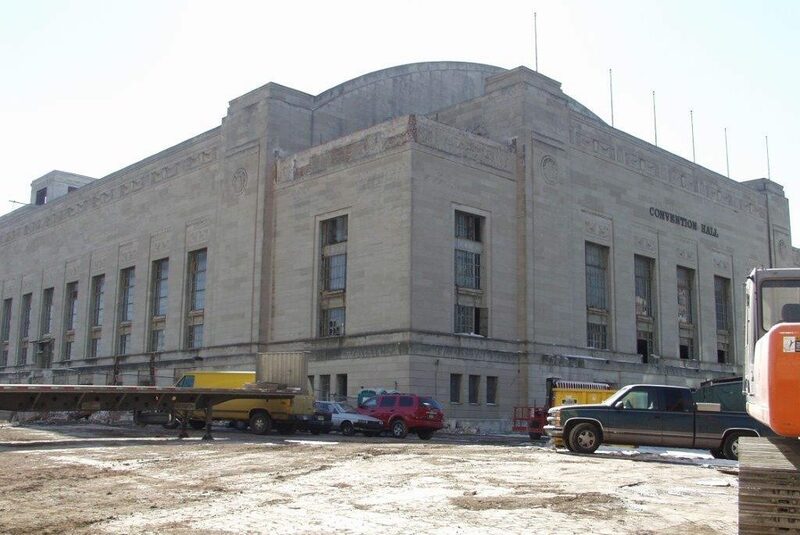 One of the functions of the Philadelphia Civic Center was a concert venue. The Beatles and Rolling Stones brought in thousands of music lovers to the center as one of the U.S. tour stops with their tickets selling out within hours. It also hosted the Jackson 5 in 1970 and the Grateful Dead in 1974 and again in 1984 as part of its music history. It because musically obsolete when another concert venue was build nearby in the 1960s. 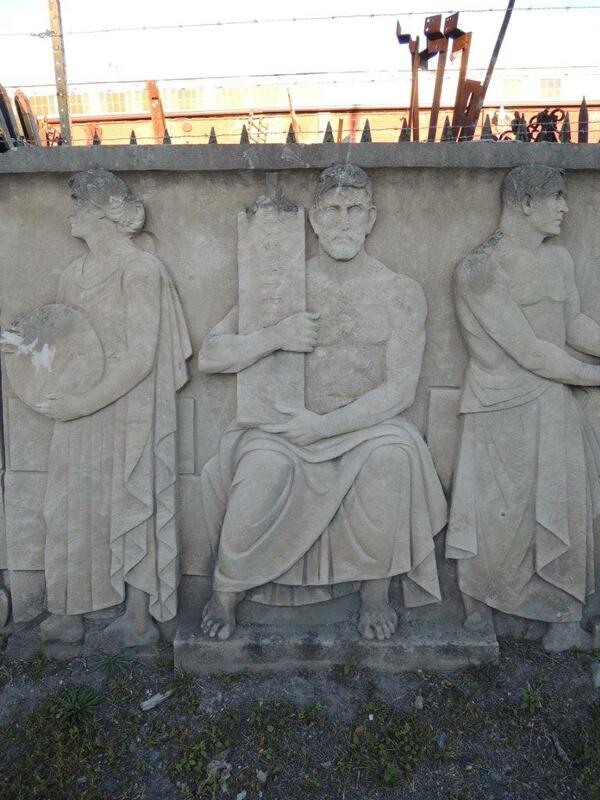 This frieze was one of the first to sell once Olde Good Things reclaimed it from the facade of Convention Hall. 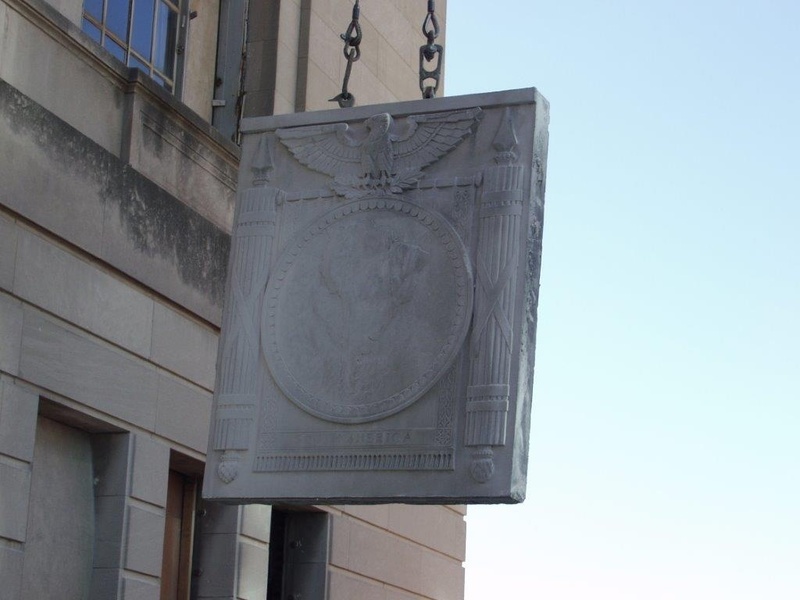 Part of the history of the Philadelphia Civic Center was that it was once a museum that was home to several different items from around the world. It held textiles, ceremonial masks and robes from around Africa, archaeological items from areas of the world such as Egypt, as well as showcased handmade fishing nets, and other anthropologically significant pieces from places such as the Philippines, China, and South America. This is one of the reasons that quite a few of the friezes included in the creation of the Civic Center were of the different continents of the world. It was to be a cultural center as well as a meeting place. 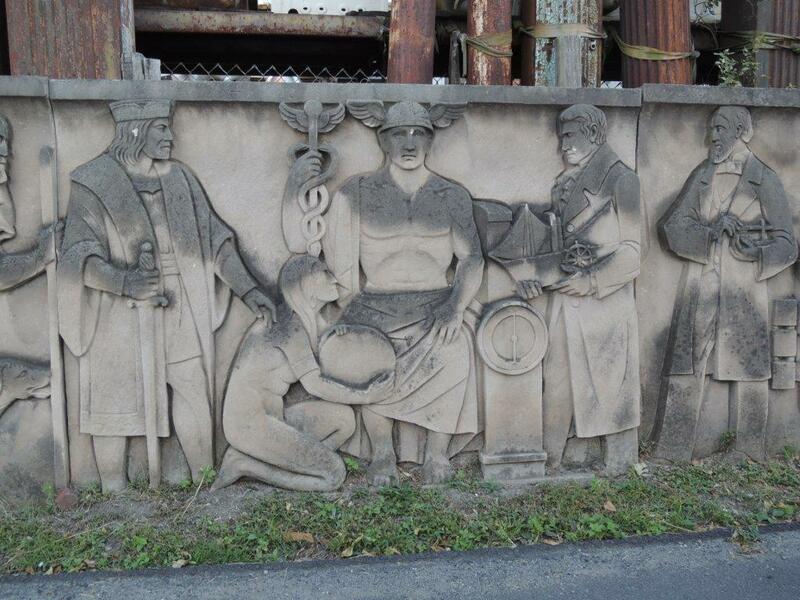 A few of the elaborate friezes incorporated aspects of transportation, engineering, and manufacturing. The main mode of transportation when this building was built was trains and ships which transported goods around the world. It was these modes of transportation that brought the goods that were created in a factory, and then taken to ports all around the world to be sold or used to make other goods. 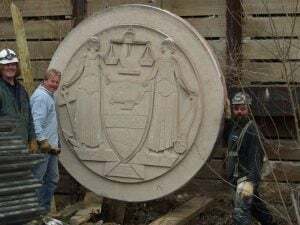 In 2005, when the Philadelphia Civic Center was demolished, Olde Good Things reclaimed the detailed architectural pieces. 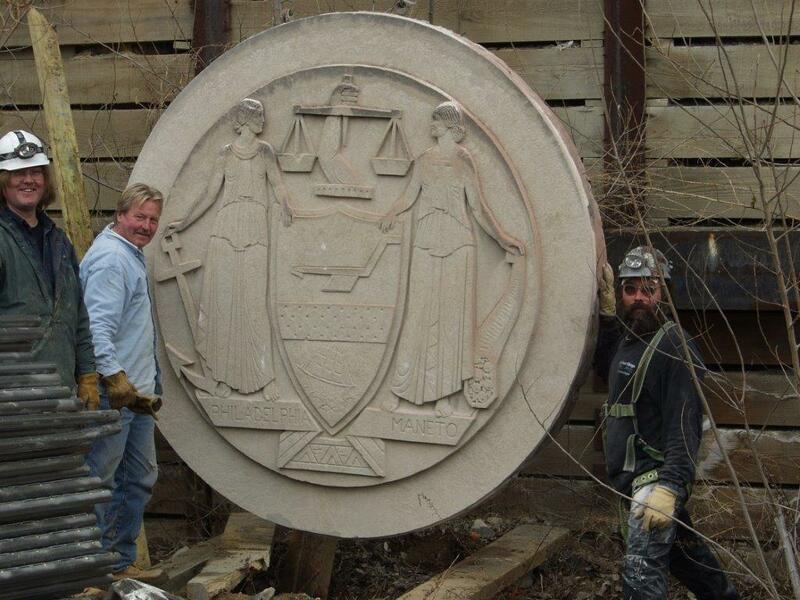 Their restoration team took great care in the removal of each of the colossal pieces, including a round ornamental frieze of the Philadelphia seal. 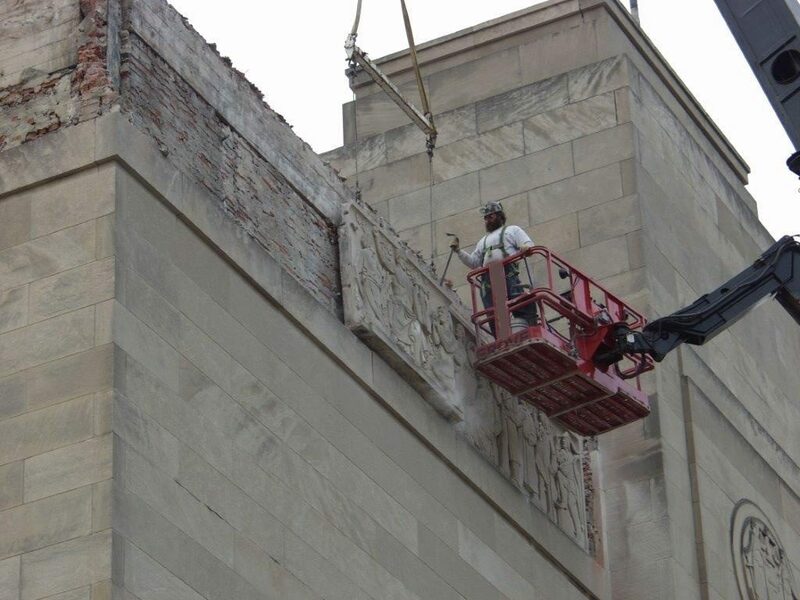 Each piece was carefully removed from the face of the building using lifts to guide them down to the ground to be transported to the Olde Good Things warehouse to be stored. These spectacular specimens of art, music, and commercial history are currently available for purchase and can be viewed on the Olde Good Things website.